The future of banking lies in adopting more advanced tech like open APIs and tech-enabled loan underwriting, according to Dan Ciporin, general partner at Canaan Partners. If they don’t adapt, big banks are at risk of becoming utilities, “like Verizon … dumb pipes,” said Ciporin, speaking at CB Insights Future of Fintech Conference today in New York. The future of banking lies in open systems, he said, which banks are “simply unable” to create. “I just don’t think the DNA is there to do it,” he added. 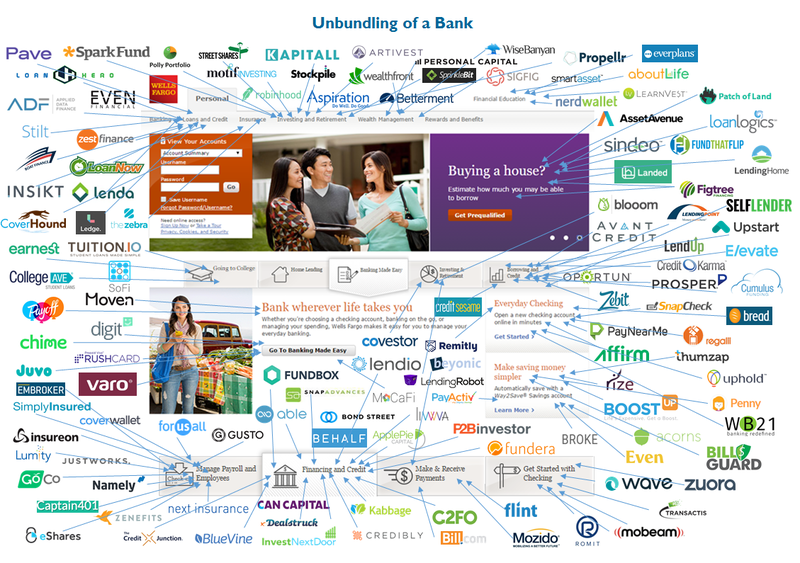 The inefficiencies apply to enterprise banking, lending, and investment banking as well —slow and complex systems make many transactions unprofitable. “The antiquated underwriting process just doesn’t work when you’re lending $30,000 to small businesses,” said Ciporin. The same theory applies to small, but high-potential, investment banking and private equity transactions. Ciporin was joined on the panel by Scarlett Sieber, SVP at BBVA, who agreed with some of Ciporin’s points, calling legacy systems “a huge hindrance” for big banks. She argued for the potential of banks being active in fintech startups and said BBVA is doing that by investing in startups, developing comparable technology in-house, making acquisitions, and striking partnerships.